Gísl and Ingimundr, good valiant men, had the landmark made in memory of Halfdan, their father and in memory of Eydís, their mother. May God now help her soul well. 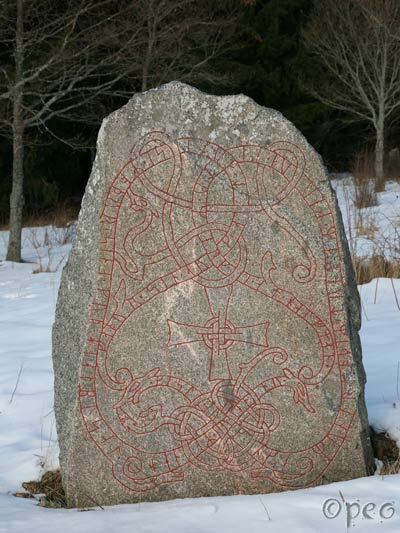 I found this rune stone some 12 kilometres north-east of Enköping.